Team Hoyt started as a father-son duo in Massachusetts in 1977. It's grown to a seven chapter family dedicated to ensuring all athletes can feel the joy and freedom of athletics. Team Hoyt paved the way for this journey. They provide a constant source of support and inspiration. The impact they have had on my life and the lives of so many others is immeasurable. 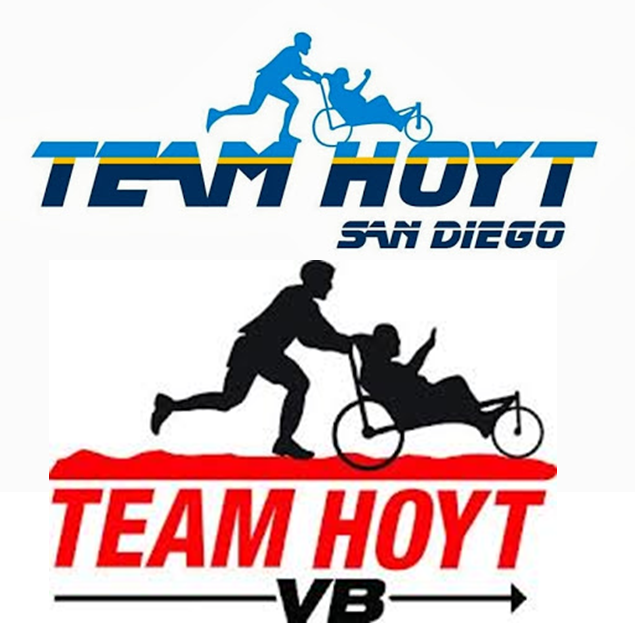 The members of Team Hoyt truly embody the idea of "Yes You Can!" Ainsley's Angels is the sister organization to Team Hoyt, dedicated to spreading the message of inclusion across America. AA holds a special place in my heart as its namesake Ainsley is the daughter of one of my mentors and close friends. My sister Rachel is also the ambassador of the Central Illinois chapter, showing there's often no line between the family you're born into and the family you make. "Together We Shall"
Warrior Expeditions was founded by veteran Sean Gobin in 2012 after discovering the therapeutic benefits of hiking the Appalachian Trail. The organization supports combat veterans transitioning from their military service by participating in long distance outdoor expeditions. The organization understand the healing powers of natural spaces, physical activity, and human connections. wear blue: run to remember is a national nonprofit running community that honors the service and sacrifice of the American military. wear blue: run to remember creates a support network for military members and their families; it bridges the gap between military and civilian communities and it creates a living memorial for our country’s fallen military members. Understanding the power of running and community to heal heal, the organization recently launched a Gold Star Race Scholarship program which provides Gold Star families with marathon access, training, and support. The Mission Continues is a nonprofit, nonpartisan organization founded in 2007 to provide opportunities for post-9/11 veterans to find purpose at home through community impact. The Mission Continues’ veteran volunteers work alongside non-profit partners and community leaders, to achieve critical objectives such as improving community education resources, eliminating food deserts, mentoring at-risk youth and more. As a proud Midwestern girl, farming also holds a special place in my heart. My first job was on a farm. The very food that will nourish me across the country was grown by farmers. My family and closest friends work the earth, and for many it brings a certain peace, joy, and meaning. FVC cultivates a new generation of farmers and food leaders, and develops viable employment and meaningful careers through the collaboration of the farming and military communities.